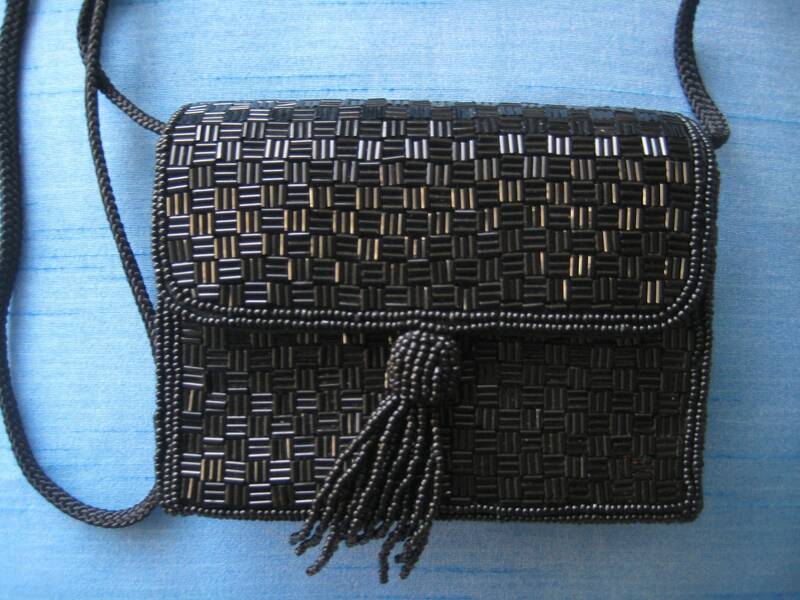 Sweet black beaded evening bag by Magid. 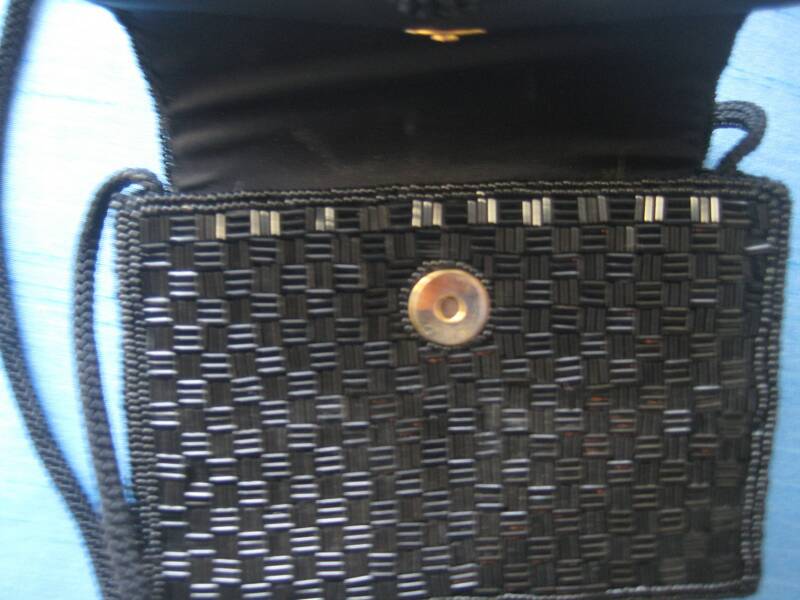 Alternate facing bead design gives the bag a basket weave look. Beaded tassel trim. Fold over closure with a magnet snap closure. 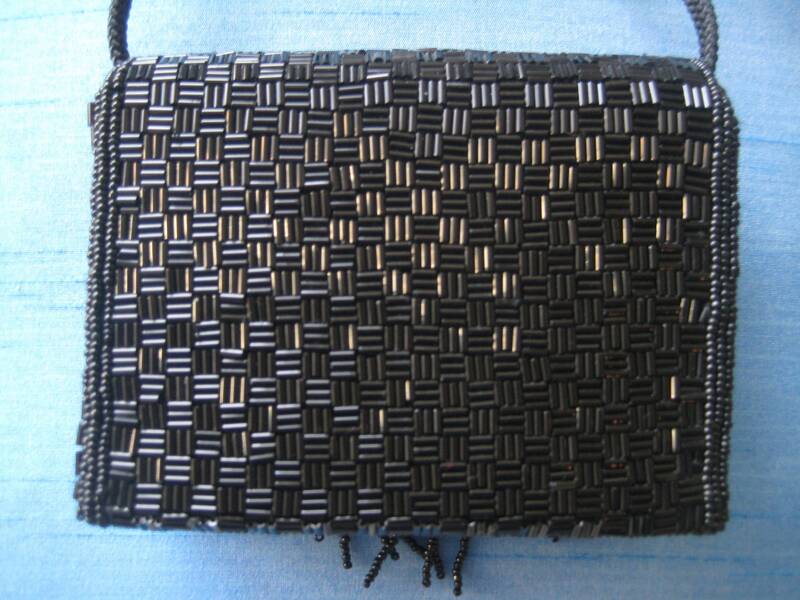 Black rope shoulder strap with a 24 inch drop, folds into the bag to make a clutch. 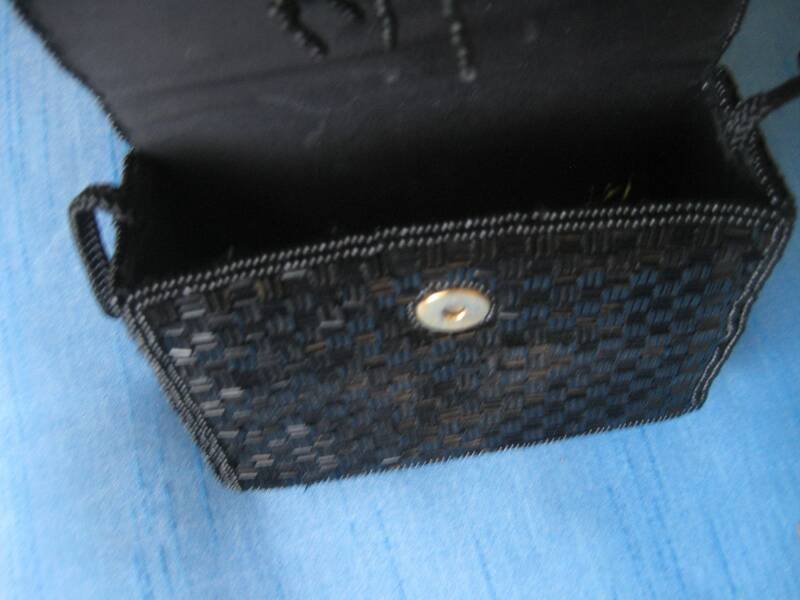 Black polyester lining with Magid, Made in China, label. Adorable! Dimensions: 5 inches long x 4 inches tall x 1.5 inches wide.